Number of years skiing: More than you. 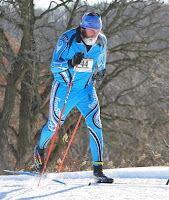 Most significant skiing accomplishment(s) from entire career: Helping coach Vakava skiers to too-many-to-count overall and age-group victories, while getting a good number of National Masters Championship wins myself. Occupation and other interests: Environmental Researcher at Minnesota Pollution Control Agency. Biking, hiking, lots of kinds of music. 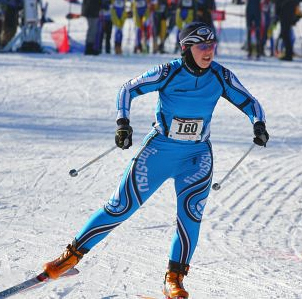 Most significant skiing accomplishment(s) from entire career: NCAA qualifier 2008, All-American 1K sprint 2001. Involvement in skiing outside of Vakava: Assistant Ski Coach at St. Paul Central High School. Occupation and other interests: Graduate student in astrophysics. Just about any kind of racing (running, triathlon, canoeing), camping, hiking, astronomy. 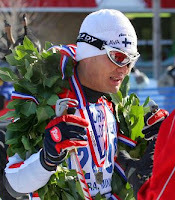 2009: 19th at Birkie (3rd in age group); 1st at Tour of Anchorage 40k; 4th at Mora Vasaloppet 42k classic; 2nd at City of Lakes Loppet 25k Classic. 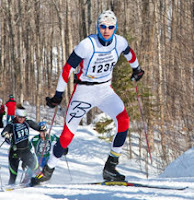 2008: New Years Day - crashed while practicing kamikaze downhill’s and partially tore knee ligament, missed most of the season but managed to squeak into the Birkie elite wave. World Masters Championships in McCall Idaho. Occupation and other interests: Industrial Hygienist at 3M, coach basketball, canoe, run, hike, cook Indian food, Minnesota Orchestra season ticket holder, read good stuff when I have time. 1979-1983: played basketball for Concordia and Texas Christian Unviversity. 1982: Toured Asia with Athletes in Action basketball team. Most significant skiing accomplishment(s) from entire career: Skinnyski Series Skier of the Year ‘08-‘09. Involvement in skiing outside of Vakava: Assistant Ski Coach at Champlin Park High School; runs Ivenski Summer Training Program for juniors. Occupation and other interests: Industrial Maintenance. Beer-making, running, mountain biking. Most significant skiing accomplishment(s) from entire career: Top ten at Tour of Anchorage '04. 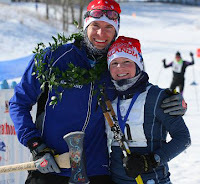 Involvement in skiing outside of Vakava: Assistant Nordic ski coach at Saint Paul Academy for the past two years. Occupation and other interests: Project manager for a Commercial Construction Company. 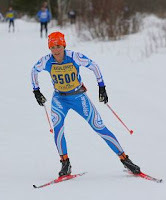 Most significant skiing accomplishment(s) from entire career: Back in the day… 4th at mesabi, 5th at state, quite a few top 3 at joq’s, 3rd, 4th 5th finishes in 35 km vasaloppet and many bonking experiences. Occupation and other interests: Mechanical/packaging engineer. Enjoy downhill skiing, waterskiing, road and mtn biking, scuba diving, Frisbee, running. 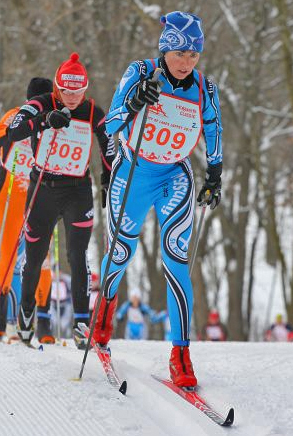 Most significant skiing accomplishment(s) from entire career: 8th (All-State) at 2000 MNHSL State Meet 5k skate, 3rd (All-MIAC) at 2004 MIAC Championships 10k skate, 10th (All-CCSA) at 2004 CCSA Regional Championships 10k skate, 2009, 2010 & 2011 MN Skinnyski Series 25-29 age group champion, 28th at 2009 Birkie 50k skate. 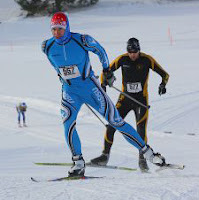 Involvement in skiing outside of Vakava: I have worked (very) part-time at Finn Sisu since 2005. 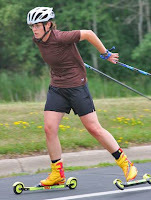 I was an assistant coach for the ISD 196 ski team in 05-06. Occupation and other interests: Dentist at Midwest Dental in Faribault. 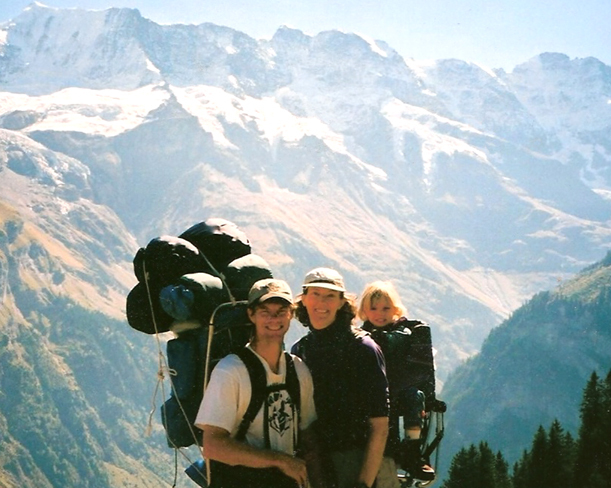 I enjoy spending time outdoors with my wife Nichole (running, hiking, camping, etc.). 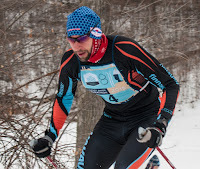 Most significant skiing accomplishment(s) from entire career: 2 top-10 Birkies and several top-10 finishes at US Nationals in ‘90s, World Cup race at Thunder Bay ’94. Occupation and other interests: Software Engineer. Assistant Nordic Coach for Roseville Area High School. Gardening, sewing, crochet, beading, sustainability, home brewing (throws a good party). Involvement in skiing outside of Vakava: While nothing formal, I try to be a great ambassador for the sport, and ski with non-racing family and friends regularly. Occupation: Chemistry professor at Macalester College. Occupation and other interests: Physical Therapist. Swimming, biking, running. 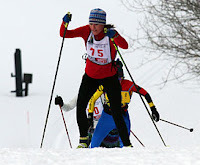 Most significant skiing accomplishment(s) from entire career: National Collegiate Cross-Country Skiing Champion (NCSA) 7 times from 1987-1990 (includes freestyle, classic, and relay titles). World University Games team 1991. Olympic Trials 1992 & 1994 (multiple top 10 finishes). 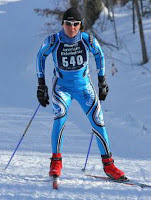 Great American Ski Chase 1st overall female 1993, 2nd overall female 1994. 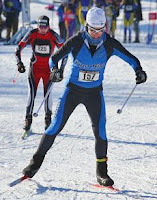 Involvement in skiing outside of Vakava: Minnesota Youth Ski League (MYSL) coach 2002-present. 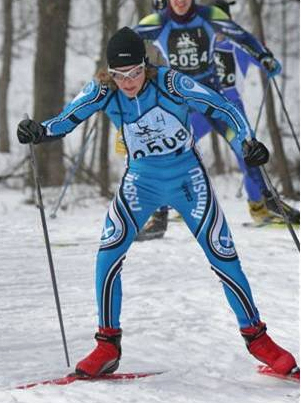 MYSL Battle Creek Youth Ski Club leader 2007-present. Minneapolis Ski Club coach spring 2010. Founder/organizer/coach MYSL East Metro Dryland Training Club. 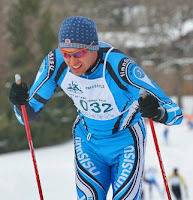 Rob started skiing in 8th grade as a way to stay active between the fall cross country running season and the spring track season. 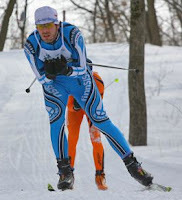 After limited himself to recreational skiing during college, Rob returned to competitive skiing in 2009 and joined Vakava in 2012. 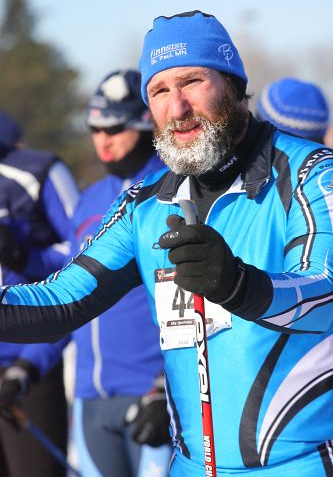 In addition to skiing, Rob is a competitive trail runner with multiple top-10 finishes including the Birkie trail marathon, Superior 50, and Superior 100. Rob's favorite ski memory is the 2014 City of Lakes Loppet, when he had a good finish for himself but also helped teammate Mary-Beth to victory in the Womens' race. Occupation and other interests: Process Engineer at Multek. 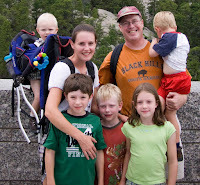 Running and racing marathons and ultramarathons, Canoeing, Bicycling on paved and gravel roads, Camping. 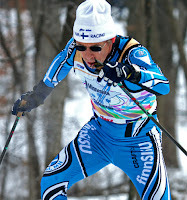 Most significant skiing accomplishment(s) from entire career: 51st at the 2009 American Birkie. Other interests include hiking, guitars, and beer. Occupation and other interests: Executive Assistant to CEO at JCAHPO. Spending time with my family - Brent (teammate and #1 workout partner (currently missing in action)), Patrick (23), Katelyn (22), and Emily (14). Also enjoy swimming, hiking, biking, and gardening. Occupation and other interests: Physician. I enjoy spending time with my lovely wife and family and especially trying to keep up with our new son! embarking on your new life's journey, one thing's standing in the way: promoting and marketing your coaching services. The mere thought fills you with dread; you don't know what to do, or where to begin.